I got Mail and some New Listings! Yes, the postman has visited this week. A couple of weeks ago I got an email from Vistaprint offering a $30 discount voucher. Since I was after a new tote bag for Christmas shopping I ordered one of their deluxe styles (black base and handles) with my logo printed on the front. I scored a discount on shipping too! That parcel arrived on Friday. Since the tote was considerably bigger than any of my bag organisers I’ve ordered a “nurses bag organiser” from eBay with lots of pockets and big enough to fit my ipad! That’s due in the letterbox letter this week, photos of both to come. The second and third a parcels arrived yesterday. You should see the huge grin on my face, my Bead Box Bargains order arrived. Bead caps galore! Lucky timing too, I’ve signed up for another challenge (more on that later in the week). The third parcel was a bit of a treat for me, I’ve given myself a subscription to Artful Blogging magazine. It’s impossible to buy at any news agent here in Australia! I called all the specialty news agents within 100km radius of home and no stockists anywhere. Luckily I checked online and discovered Blue Bazaar has subscriptions and sells some back issues. At $22 plus postage for each magazine this is a major treat for me! No pictures of any of my purchased :( so I’ll leave you with this. 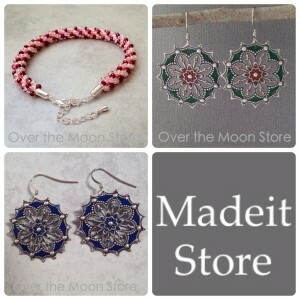 I listed these items in my Madeit store yesterday. A Christmas Candy Cane Striped Kumihimo beaded bracelet, a pair of faux enamel Christmas earrings and a pair of Blue faux enamel earrings. The faux enamel effect is achieved by using Sakura Glaze Pens, another eBay purchase from last month. These pens seem to work better on silver tones, the colour disappeared on the copper filigree :( Last day for orders to ensure delivery for Christmas is 10th December! Wow, it’s been a while since I blogged here regularly. After the bead soup blog party I must have subconsciously needed a break. I wasn’t completely absent though, I’m taking part in Diana of Suburban Girl Studio‘s mismatched art bead earring swap. My partner here in Australia is Melissa Trudinger of Bead Recipes. Of course I had a go at the sequintastic challenge in my previous post, and I think I’m over my dread of sewing sequins. Mmmm what else, well after troubleshooting ipad problems for most of my extended family I bit the bullet (so to speak) and bought one for myself. I’m hoping that I can blog on my ipad (like I’m doing now) and do almost all of the stuff that I was doing on my laptop. More about useful apps later. 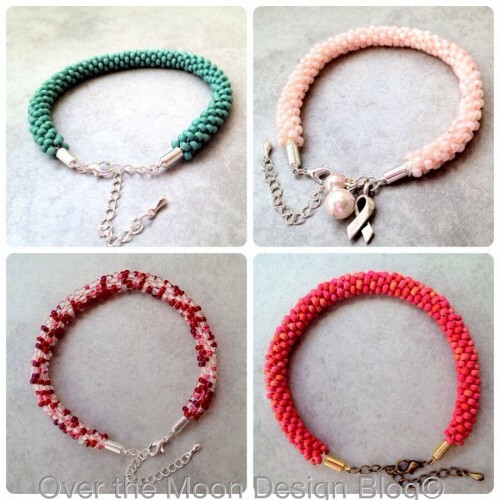 I’ve also finally opened my Madeit store I’ve only got a few things listed there at the moment, mostly Kumihimo bracelets like these. I’m in the process of designing some earrings to be listed there as well. Oh, and I’ve got free shipping in my store for the month of October, to celebrate Breast Cancer Awareness. Bracelets for Christmas will be listed soon. Since I’ve been designing earrings I realised I needed some custom earring cards. I’m pretty good with photoshop and my youngest daughter is a good sounding board for design. When I’ve printed some up I’ll show them off here. They might make a good product for my store as well. 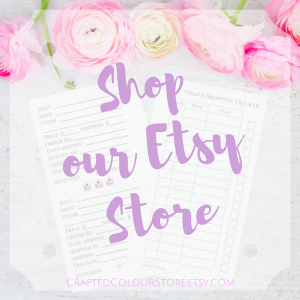 I noticed a quite a few on Etsy but none on Madeit. Come back on the 16th October for the MisMatched Art Bead Earring Swap reveal.